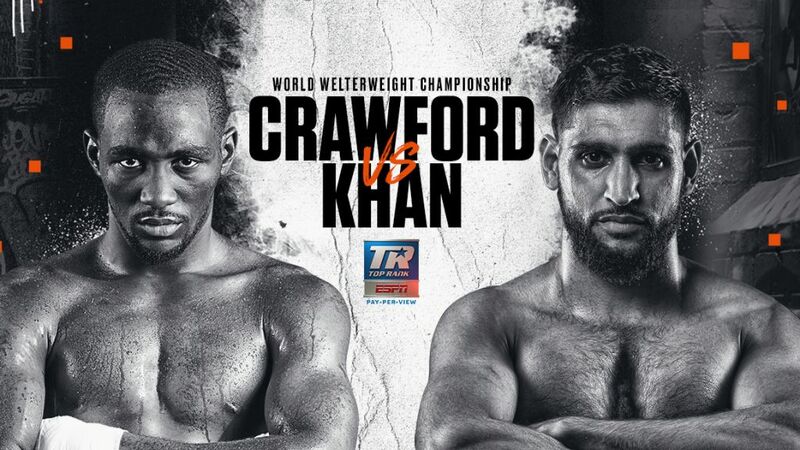 Ring News 24Boxing NewsFight Preview: Terence Crawford v Amir Khan – Can The Former British Champion Cause One of 2019’s Biggest Upsets? Terence Crawford will be continuing his climb toward Pound for Pound stardom when he defends his WBO welterweight world title against Britain’s Amir Khan this coming Saturday night. The fight will be taking place at the Mecca of boxing, Madison Square Garden in New York. As famous as he is for it, the former Silver medalist saw the canvas yet again in his last fight against Samuel Vargas and had to dig deep in order to get a unanimous decision. He previously had it easy when he knocked Phil Lo Greco out in the 1st round further back in April last year. 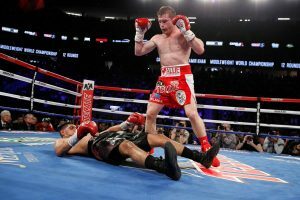 After out-boxing Canelo Alvarez and stepping up two weight classes for it, Khan was caught by a massive right hand in round 6 that saw his dream of dethroning Golden Boy’s main star blow up in smoke. A two year sabbatical from 2016 to 2018 was what the former WBA and IBF titlist felt he had to take in order to feel replenished. Khan’s best against Canelo just wasn’t good enough. Meanwhile, Terence Crawford has been promising to eventually take position as the boss of the welterweight division, but he has plenty more progress to make if he is to live up to that commitment. He has scored two stoppages in a row since moving up, Jeff Horn and Jose Benavidez Jr, being the two then unbeaten victims. While Horn and Benavidez were stern competition, Khan will be the first name on his record at welterweight that has beaten plenty of recognisable names. Should he come through, that is. The Bolton boxer has caused quite a controversy in his home country of England after there was heavy fan demand for him to face Kell Brook in what would have been a massive British showdown. But Amir has always insisted that he is fighting for legacy. And he appears to be backing that up by taking the Crawford fight, despite the fact that not many are giving him much of a chance of winning. Whatever you think of him, there is no question that Khan has a big heart and is willing to take on the very best to give it a try. 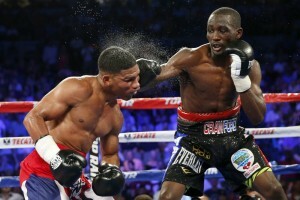 Terence Crawford makes things look easy. Crawford, like Khan, has great hand speed and there are few mainstream fighters today who can equal that type of momentum in that area. He possesses a decent southpaw jab and can score effectively on the back foot. Jeff Horn had to ship some thudding rights when he attempted to fight going forward. Crawford has a good sense of positioning and has the ability to land blistering combinations and moving out of range before his opponents can capitalise. He does have trouble with a good jab, but he has not yet faced somebody who can do more than just use that. The swiftness in mobility and stamina is still there for Amir Khan. And as was already mentioned, so is his hand speed. But as Samuel Vargas proved last time out, he still has a penchant for trading punches at the most ill of times. Not only that, but he can also still be caught cleanly. This is what makes him exciting to watch. You just never know what is going to happen! But it wouldn’t hurt his career if he was to adopt an approach that was a little more technical and restrained. However, Khan is only doing what comes naturally. And that is very difficult to change. Both fighters are just under a year apart in age, with Amir being the older man at thirty two years. The challenger will have half an inch in height over the champion, while Terence will enjoy having a three inch reach advantage. So, what it will come down to is really who is the technically superior and who is the technically inferior pugilist. Side by side, Khan looks to be the bigger man in terms of physicality. But all that is for nothing if he does not amend his flaws. And after all this time, it is hard to believe he will have. Crawford is not shy to exchange, and is pretty effective when doing so. I believe that this will be Khan’s undoing. I cannot help but think that, at some point, he will be throwing for longer than he should and Crawford will land a huge hook upstairs. Khan’s footwork may keep him in the contest up until the half way point before finding himself in familiar territory, looking up at the lights enveloping the centre stage. And just maybe, the English fans will finally get their wish. With his hopes dashed by Crawford, do not be surprised if Kell Brook will be viewed as the last major realistic money making fight there left for the man who may find himself at a crossroads.